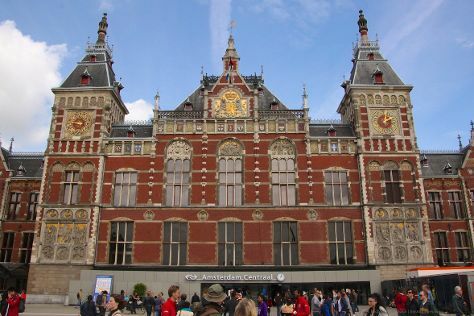 Kick off your visit on the 30th (Mon): don't miss a visit to Museumplein and then go from sight to sight with Centraal Station. To find maps, ratings, where to stay, and other tourist information, refer to the Amsterdam travel itinerary planner. Kuala Lumpur, Malaysia to Amsterdam is an approximately 16.5-hour flight. The time zone changes from Malaysia Time (MYT) to Central European Time (CET), which is usually a -7 hour difference. Traveling from Kuala Lumpur in October, things will get colder in Amsterdam: highs are around 17°C and lows about 9°C. On the 30th (Mon), wrap the sightseeing up by early afternoon so you can travel to Venice. 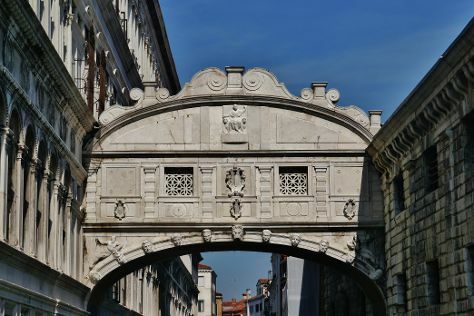 On the 31st (Tue), take a stroll through Cannaregio, take a stroll around Isola di Burano, make a trip to Dorsoduro, then steep yourself in history at Ponte dei Sospiri, and finally admire the striking features of Scala Contarini del Bovolo. Keep things going the next day: take in the architecture and atmosphere at St. Mary of the Friars, take in the spiritual surroundings of San Giorgio Maggiore, then take in the architecture and atmosphere at Basilica di Santa Maria della Salute, and finally admire the striking features of Scuola Grande di San Rocco. To see maps, reviews, photos, and more tourist information, you can read our Venice online itinerary creator. Traveling by flight from Amsterdam to Venice takes 4.5 hours. Alternatively, you can drive; or take a train. Plan for somewhat warmer temperatures traveling from Amsterdam in October, with highs in Venice at 21°C and lows at 13°C. Wrap up your sightseeing on the 2nd (Thu) early enough to take a train to Florence. Start off your visit on the 2nd (Thu): admire the landmark architecture of Loggia dei Lanzi, take in the spiritual surroundings of Campanile di Giotto, then don't miss a visit to Cathedral of Santa Maria del Fiore, and finally indulge in some culinary diversions at a local gastronomic tour. Here are some ideas for day two: take in the spiritual surroundings of Abbazia di San Miniato al Monte, indulge your senses at some of the top wineries in the area, and then take in the spiritual surroundings of The Baptistery of St. John. For other places to visit, where to stay, traveler tips, and other tourist information, read our Florence vacation trip planner. Traveling by train from Venice to Florence takes 2.5 hours. Alternatively, you can drive; or fly. Expect somewhat warmer weather when traveling from Venice in November: highs in Florence hover around 19°C, while lows dip to 9°C. Wrap up your sightseeing on the 4th (Sat) to allow time to travel to Lucerne. On the 4th (Sat), take your sightseeing to a higher altitude at Mt Pilatus, appreciate the history behind Dying Lion of Lucerne Monument, and then take in the views from Chapel Bridge (Kapellbrucke). To find ratings, reviews, more things to do, and tourist information, you can read our Lucerne itinerary maker. Getting from Florence to Lucerne by combination of flight and train takes about 5.5 hours. Other options: drive; or take a train. Prepare for a bit cooler weather when traveling from Florence in November: high temperatures in Lucerne hover around 11°C and lows are around 3°C. Wrap up your sightseeing on the 5th (Sun) to allow time to travel to Saint-Malo. On the 5th (Sun), make a trip to Les remparts de Saint-Malo. To see traveler tips, more things to do, photos, and tourist information, use the Saint-Malo trip generator. Fly from Lucerne to Saint-Malo in 8 hours. Alternatively, you can do a combination of flight and train; or drive. In November, Saint-Malo is somewhat warmer than Lucerne - with highs of 15°C and lows of 8°C. Finish your sightseeing early on the 7th (Tue) to allow enough time to drive to Bayeux. On the 7th (Tue), explore the different monuments and memorials at Bayeux War Cemetery, then take an in-depth tour of Musee de la Tapisserie de Bayeux, and then contemplate in the serene atmosphere at Notre Dame Cathedral. Here are some ideas for day two: explore the different monuments and memorials at American Cemetery & Memorial, then contemplate the long history of Pointe du Hoc, and then see the interesting displays at Airborne Museum. To see where to stay, reviews, photos, and tourist information, go to the Bayeux trip itinerary maker. Getting from Saint-Malo to Bayeux by car takes about 2 hours. Other options: take a train; or take a bus. In November, daily temperatures in Bayeux can reach 14°C, while at night they dip to 6°C. Finish your sightseeing early on the 9th (Thu) so you can travel to Reims. Reims is home to Champagne--the most celebrated and celebratory wine in the world. Eschew the tourist crowds and head to Cathedrale Notre-Dame de Reims and Mercier. Change things up with these side-trips from Reims: Epernay (Champagne Domi, Moet et Chandon Champagne Cellars, & more), Louis Casters (in Damery), Champagne Philippe Martin (in Cumieres), Champagne Domi Moreau et Fils (in Mancy), Champagne Pierre Legras (in Chouilly), Champagne Tarlant (in Oeuilly) and Champagne Thierry Rodez (in Ambonnay). Next up on the itinerary: learn about winemaking at Champagne Lelarge-Pugeot and indulge your senses at some of the top wineries in the area. To see other places to visit, ratings, and other tourist information, use the Reims itinerary maker. You can take a train from Bayeux to Reims in 4.5 hours. Other options are to drive; or take a bus. November in Reims sees daily highs of 11°C and lows of 4°C at night. Finish your sightseeing early on the 13th (Mon) so you can travel back home.